Our story actually begins with “…. you being able to tell your story.” Reflection Beads was created to give you the opportunity to express yourself in your jewelry. Providing you a way to select beads that mean something to you and then allowing you to arrange them in a way that tells your story----is what our story is all about. Reflection Beads features over 2000 handcrafted beads and charms. Our beads are also compatible with other leading brands of bead jewelry. We’ve designed our products so you can interchange Reflection beads and charms with jewelry from other popular bead companies. Reflection Beads is a privately held, US based company, located in southwest Ohio. Our products are available in over 3000 retail locations, all across the United States. 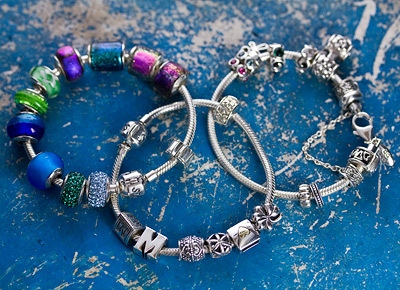 If you can’t find your favorite bead at a store near you, let us know. If we have it, we’ll be happy to ship it to the retailer of your choosing. We are committed to doing whatever it takes to help you--Tell Your Story! Formal or casual? Energetic or relaxed? We encourage you to design your jewelry to “reflect” your personality and lifestyle. You can create fashionable designs or select beads that have a special meaning to you…jewelry that tells YOUR story. Our goal at Reflection Beads is to provide you with everything you need in order to “Tell Your Story”. From our large selection of unique shapes and colors to our section showing “How to Build My Bracelet” , we want to make your beading experience as easy as possible. Let your imagination run wild and have fun, telling your story!